In recent years financial corruption and crises have led to increased more regulation of corporations and the financial industry and corporations. Sarbanes-Oxley and Dodd-Frank impose various financial reporting obligations on publicly traded companies. These Acts also protect, and even reward, whistleblowers (employees who report their employers violations of the laws by their employers). Employees often fail to report the wrongdoing of their employers because they fear retaliation for whistleblowing. These lawsSarbanes-Oxley, Dodd-Frank, — and many other lawsrs — have anti-retaliation provisions to encourage whistleblowing with respect to corporate and financial laws. Read below for more information about corporate whistleblower and retaliation protections. 1. What is the law that protects corporate whistleblowers? 2. Who is protected by the federal corporate whistleblower laws? 4. What conduct is considered to be “protected activity”? In 2002, Congress passed the Sarbanes-Oxley Act (SOX) in response to corporate fraud scandals including those at Enron and Worldcom. President Bush signed SOX into law on July 20, 2002. Since then, Sarbanes-Oxley has required publicly traded companies to make new certifications about their finances. Corporate officers are personally liable if those certifications are discovered to be false. Corporate officials and employees are now more keenly aware of the risk that they could go to jail if they misrepresent a company’s financial status. In July 2010, the Dodd-Frank Wall Street Reform and Consumer Protection Act (“Dodd-Frank”) was enacted to restore responsibility and accountability in our financial system. It provides several opportunities for corporate whistleblowers. The act created an award program through the Securities Exchange Commission (SEC) which provides rewards up to 30% and not less than 10% of funds recovered for information provided by whistleblowers. The SEC created a whistleblower program which enables the SEC to pay an award to whistleblowers whom voluntarily provide original information about violations of federal security laws in writing, and which lead to successful actions resulting in monetary sanctions over $1 million. To avoid losing an opportunity for a reward, you should consult an experienced whistleblower attorney before you blow the whistle. The best source of information about what a company is actually doing or not doing is often its own employees, Dodd-Frank ensures that an employee can provide such information without losing his job or otherwise suffering economically from retribution from the polluter.Both laws protect employees who call legal authorities, refuse to follow illegal orders, object to supervisors about violations and associate with those who blow the whistle. Dodd-Frank prohibits retaliation against any individual who provides information to the SEC relating to any regulation within the SEC’s jurisdiction as well as anyone who participates in an investigation around such matters. These laws are meant to protect employees who expose corporate fraud including: insider trading, money laundering, accounting fraud, broker-dealer violations and any violation of the Foreign Corrupt Practices Act. Dodd-Frank also permits civil causes of action in wrongful termination, suspension, harassment or other discrimination because the whistleblower engages in protected activity of reporting information to the SEC. Employees of both publicly traded companies (ones that sell stock on an open market) and employees of their subsidiaries and affiliates whose financial information is included in the consolidated financial statements of the publicly traded company are protected by these laws. Sarbanes-Oxley has also been interpreted by the Supreme Court to cover employees of private contractors and sub-contractors in 2014 by the Supreme Court. Dodd-Frank also protects employees in the financial services industry who are retaliated against for disclosing information concerning fraudulent or unlawful conduct relating to a consumer financial product or service. The financial services industry is defined to includes organizations that extend credit, service or broker loans, organizations that provide financial advising services and organizations that provide credit counseling or consumer reporting information. (Claims under this part of the Act must be filed with OSHA before litigation). ► the protected activity caused the adverse action. The Department of Labor and the courts interpret “protected activity” broadly. “Protected activity” describes the actions an employee can take, and be protected by the law from retaliation. For example, calling the SEC is protected activity. So, if the boss gets mad and fires you for calling the SEC, you can make a complaint against that unlawful retaliation. Sarbanes-Oxley also protects employees who report violations to the employer. Dodd-Frank extends that employee protection to prevent retaliation not just against the employee, but also against and contractor, agent or associated others. However, if the employee has concealed the protected activity from the employer, then an issue might arise about whether the employer knew about it before imposing the retaliatory action. For this reason, some whistleblowers will notify the employer directly, through a means that establishes the date on which the employer received the notice. Certified mail, email, and faxes can all provide evidence of the date of receipt. Sometimes, the employer’s investigation or interrogation of an employee can reveal employer knowledge of the protected activity. The employee is not required to prove the underlying violation. The employee needs only a “reasonable basis” to believe that a violation might have occurred. Under Sarbanes-Oxley, internal disclosures (complaints made to a supervisor) are protected, but under the Dodd-Frank Act, there is a lot of authority as to whether protected disclosures are limited to disclosures made to the SEC. Yes. If you get into an argument with a supervisor about what is or is not legal on the job, and you punch the supervisor, you are not protected from being fired for punching the supervisor. The Secretary of Labor has recognized that protected activity may be associated with “impulsive behavior.” Employees cannot be disciplined for protected activity so long as it “is lawful and the character of the conduct is not indefensible in its context.” A key inquiry is whether the employee has upset the balance that must be maintained between protected activity and ship discipline. If the employee’s behavior oversteps the defensible bounds of conduct, the employee can lose the protections of the law. For example, one employee lost protection after swearing at a supervisor, refusing to change their conduct, and daring the employer to fire the employee. Any action that materially affects the value of your job is an adverse employment action. A discharge is clearly adverse. A demotion, cut in pay, denial of promotion (if someone else gets that promotion), or denial of benefits would also be considered adverse. The Department of Labor will also recognize a claim against a “hostile work environment,” although courts still disagree about what employer actions would make the workplace sufficiently “hostile.” Other employer actions that have been held to be adverse and therefore against the law, include a refusal to hire or rehire, blacklisting, reduction in work hours, reassigning work, transfer, denial of overtime, assignment to undesirable shifts, reprimands, threats to discharge or blacklist, providing unfavorable reference, damaging financial credit, close supervision, unpleasant assignments, eviction from company housing, and a sudden drop in evaluation scores after the protected activity. Direct evidence is evidence that the employer was mad about the protected activity. If you or another witness saw a supervisor spout off about someone reporting a violation, that is direct evidence of the employer’s “animus” against protected activity. Similarly, if the employer announces that whoever calls the SEC will be fired, or warns employees against reporting violations, that is direct evidence of retaliation. However, the Department of Labor recognizes that most employers are smart enough to suppress direct admissions of their motives. So, the Department can find causation based on inferences. For example, if the worker calls the SEC, and you can prove that the employer had an idea about who called, and that worker is fired shortly thereafter, the timing can support an inference that the protected activity caused the discharge. The timing can support an inference of retaliation when it is as long as six months or a year from the employer’s discovery of the protected activity. An inference of causation can also be drawn from an employer’s failure to follow normal procedures, use of false evidence, changing explanations, or a pattern of adverse actions after employees engage in protected activity. 180 calendar days from the date you first learned about management’s final decision to impose the adverse action. For example, say the employer gives the employee a letter saying that the employee will be laid-off for economic reasons 120 days in the future. The employee believes the real reason is retaliation for reporting violations. That employee’s complaint must be filed within 180 days of the notice, while the employee is still employed. If the employee waits until the discharge is completed, the employer can move to dismiss on grounds of untimeliness. If the employer’s notice is equivocal, the employee may wait for a final decision from the employer. However, pursuing internal or union grievance proceedings does not make the decision equivocal. The legal doctrine of “equitable tolling” may also apply to extend the deadline. For example, if you were planning to file the complaint, but you were in the hospital on the 90th day, OSHA may accept your complaint if you file it promptly after getting out of the hospital. Also, if you made a good faith attempt to file on time, but you filed in the wrong place, you may be able to file in the right place if you do so with reasonable diligence. Equitable tolling does not benefit the worker who simply did not know what the law required until after the time limit was passed. OSHA makes the initial investigation and decision. They interview witnesses on both sides and may prompt the parties to discuss settlement. This procedure makes it difficult to prevail in cases involving credibility disputes. The initial decision is usually made in a few months, but can stretch to the better part of a year or more. A regulation requires a decision in 60 days. ⚖ If OSHA takes more than about six months, there is usually a presumption that they ruled against you and you may request a hearing as discussed below. Once OSHA issues a decision, either or both sides may file a request for a hearing within thirty (30) days of receiving the decision . Copies must be mailed, delivered, telegrammed or faxed to the Chief Administrative Law Judge (ALJ) and the Administrator, and to the respondent. ⚖ Upon filing the request for a hearing, discovery (the process of sharing relevant information in the hands of each party) begins and the OSHA decision carries no weight. After the hearing, parties may appeal the recommended decision to an Administrative Review Board (ARB), a three member panel appointed by the Secretary of Labor (SOL). This panel replaced the SOL’s role under the regulations. Either party may appeal to the U.S. Court of Appeals from the final administrative decision. a. Information must be original, defined as independent knowledge or analysis not already known by the Commission and not taken exclusively from certain public sources, and to be voluntarily provided. b. The information must lead to a successful enforcement action. Information can be determined to lead to a successful enforcement action when it is specific and submitted timely causing the SEC to open or re-open an investigation or lead to a new inquiry in an existing investigation. If the investigation is already underway, the information must significantly contribute to the success of the action. c.	The SEC must obtain monetary sanctions totaling more than $1 million dollars. a. People who have a pre-existing legal or contractual duty to report this information to the Commission. b. Attorneys attempting to use information obtained from clients as claims for themselves. c.	People who obtain the information illegally. e.	Employees who learn of the information from another employee or from the internal reporting processes within the organization. “Front pay” may be sought in place of reinstatement, but reinstatement must be ordered upon a finding of wrongful discharge. Still, the courts will award front pay in place of reinstatement in cases where reinstatement is not a “viable option.” Complainants have a duty to “mitigate” (reduce the potential amount of) damages, for example, by looking for substitute employment. It is difficult for most lay people to collect all the useful evidence, organize it into a persuasive story, and comply with all the procedural rules to win a whistleblower case. Some lawyers with experience in whistleblower cases will accept cases even when the client cannot afford to pay regular fees. If the lawyer has enough confidence in the client and in winning the case, the lawyer may accept the case on a contingent basis. The lawyer will be relying on the judge to award a fair amount of attorneys fees after the client has won a favorable decision. Clients will benefit from shopping around for a lawyer as soon as possible after the employer’s first adverse action. Then a lawyer can help make sure the complaint gets filed on time and at the right place. A lawyer can also help make sure that the most important facts are disclosed in the first statement to the OSHA investigator. When you shop for an attorney, look for attorneys who have experience in employment matters, or in whistleblower matters specifically. For more information, see our site’s attorney resources page. 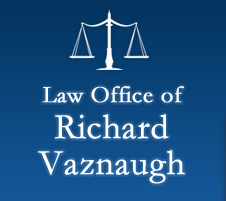 The Law Office of Richard Vaznaugh is an employment law firm located in San Francisco, California, serving the Bay Area and the following counties in Northern California: Alameda County, Contra Costa County, Marin County, Napa County, San Francisco County, San Mateo County, Santa Clara County, Solano County, and Sonoma County. © 2019 The Law Office of Richard Vaznaugh. All rights reserved. Site powered by Workplace Fairness.